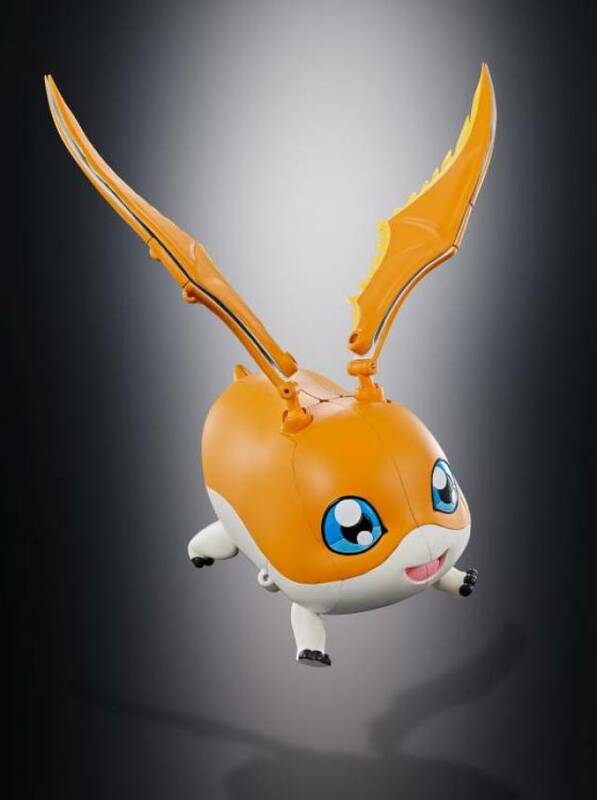 The seventh release in the Digivolving Spirits series! 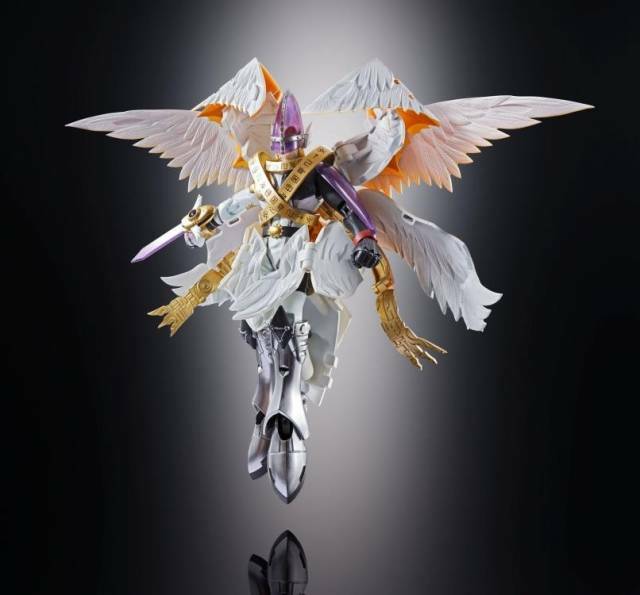 MagnaAngemon incorporates an all new design to capture this ultimate form of the Angemon, digivolved from the Patamon (sold separately). 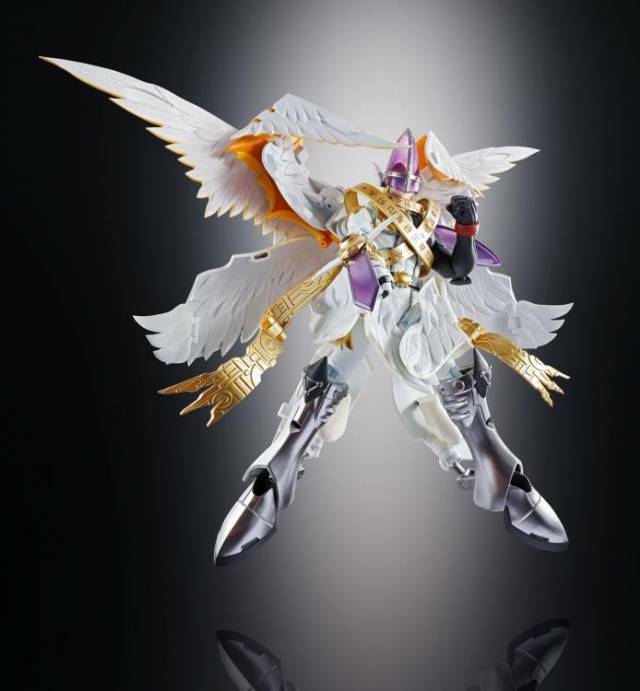 Features eight beautiful and posable wings, letting you pose it in flight mode. 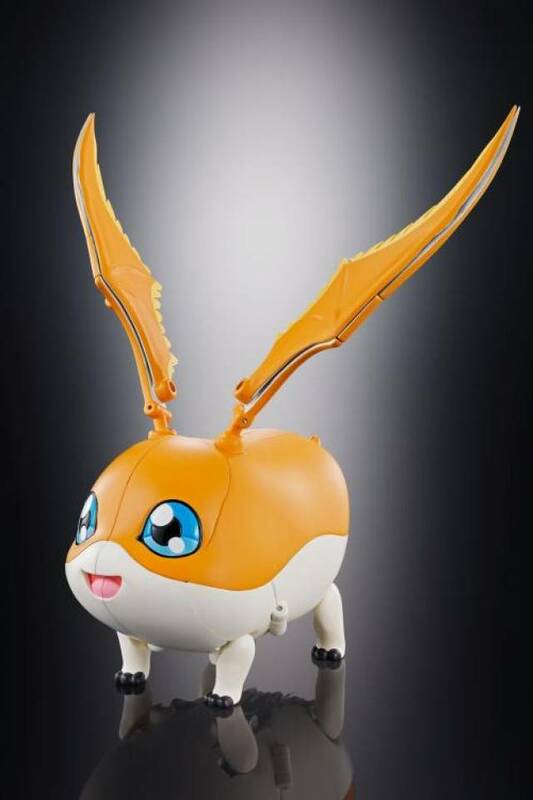 The powerful appearance of MagnaAngemon offers an amazing contrast to the roly-poly look of Patamon! 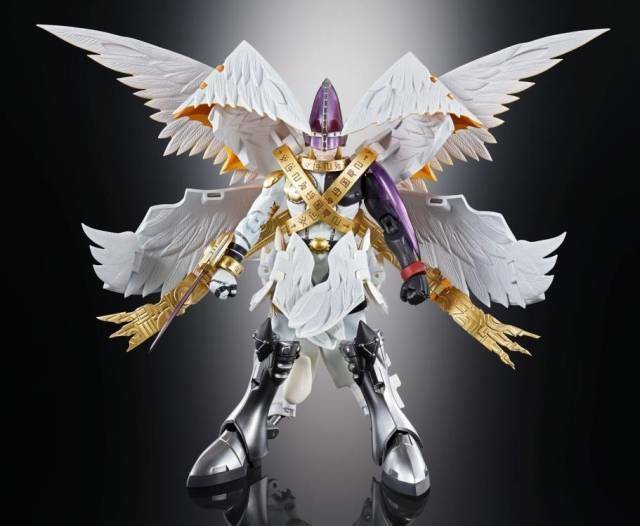 This is the ultimate portrayal of the character for Digimon fans. Includes a display joint.